Good news my dear TFiOS fans! Director Josh Boone and producer Wyck Godfrey have something to tell you. In Twitter, Director Josh Boone confirms that the movie adaptation of The Fault in Our Stars will start shooting by the end of August. 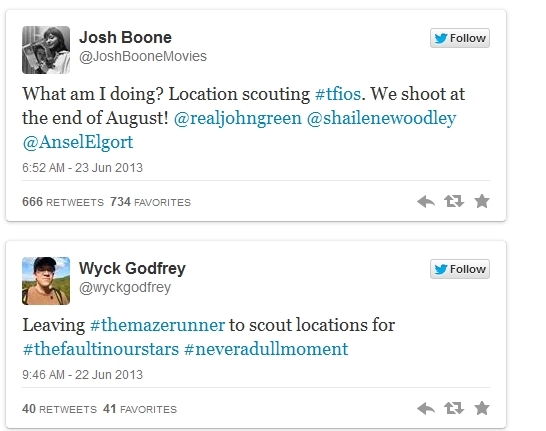 Producer Godfrey also said that location scouting for the movie is on its way. In a separate news, director Josh Boone confirmed that filming will start by August 26, 2013. Are you excited? I hope they can find easily a location to shoot film. I can't wait to see them.